Between the best scramble ever & face time with your ladies (and gents! ), brunch is the mightiest meal of the week. There’s no excuse needed—we’d go every day if we could. Whether meeting a date, planning a party or trying a new spot, these tips will keep you looking stylish every Saturday (or Sunday). Today’s your day—get the celebration started early! When planning the perfect birthday brunch outfit, aim for dresses with print or texture. A denim jacket will come in handy if your sunny patio spot turns shady halfway through the meal. Stylist Tip: To give your legs a lift, try a pair of moderately high wedge heels. They’re perfect for spring & comfortable to boot! This isn’t your average brunch—you’ve got to look your best. Step up the sophistication with a bright floral silk dress & a clutch in a springtime hue. Bring only your essentials: coral lipstick, smartphone & your credit card. 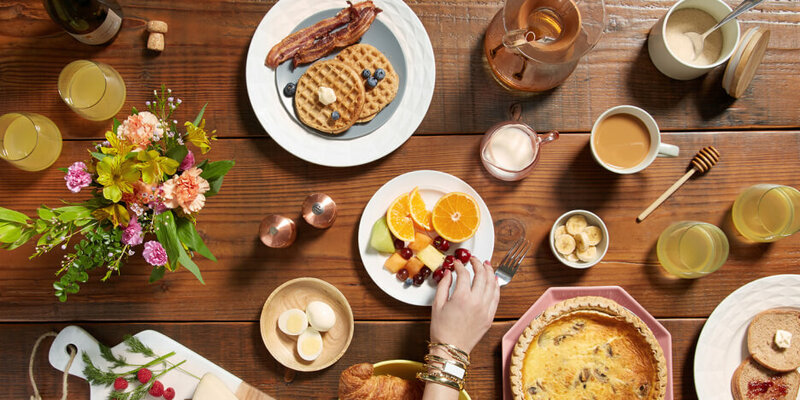 Stylist Tip: The hottest (brunch) ticket in town? Prop yourself up in strappy heels for statement-making appeal. Plus, you’ll look leaner in pictures. Looking to make a first impression, or rendezvous with a plus 1? Reach for updated-casual clothes on this brunch date. Showing a little skin never hurts—take advantage of the off-the-shoulder trend to keep your guest guessing without revealing too much. Stylist Tip: White jeans are white hot, and are the perfect accompaniment to make your top stand out. Pair them with neutral sandals or flats for extra-long legs. Planning a laidback shower? We’ve got your covered. Comfort is key when you’re eating for two, so an airy embroidered tunic & your favorite denim (with a belly-band!) are good go-tos for this special occasion. You’re sure to be the cutest mom-to-be at the brunch. Not the one expecting? Check out our post on what to wear to your friend’s baby shower. 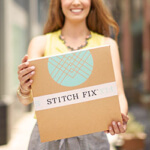 Stylist Tip: Did you know Stitch Fix carries the cutest maternity duds? Simply enter your due date in your Style Profile for pieces fit for any special (or everyday) occasion. Have a hankering for French toast? Don’t delay—grab your friends & get on that waitlist. You’re sure to get bumped to the front of the line sporting desert neutrals. Keep cool in white shorts, an olive button-up & a botanical printed top. What looks are you loving for brunch? Let your Stylist know you’re seeking fun, weekend outfits.